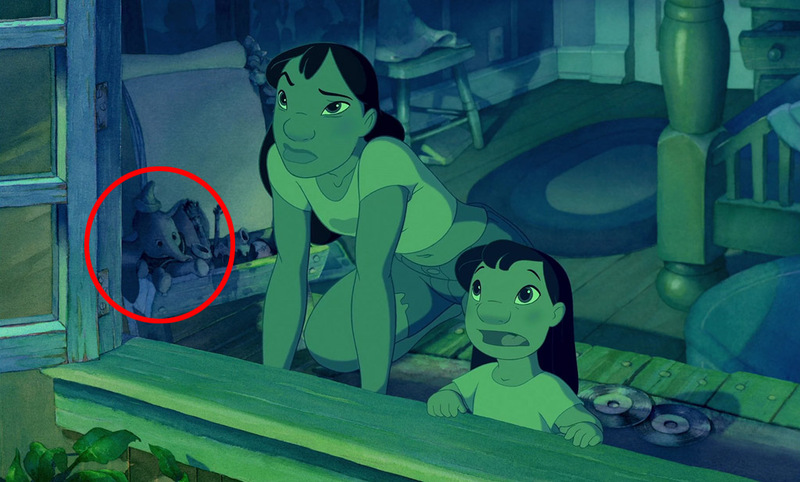 Numerous hidden mickeys appear throughout the movie in the form of household objects, glyphs and more. 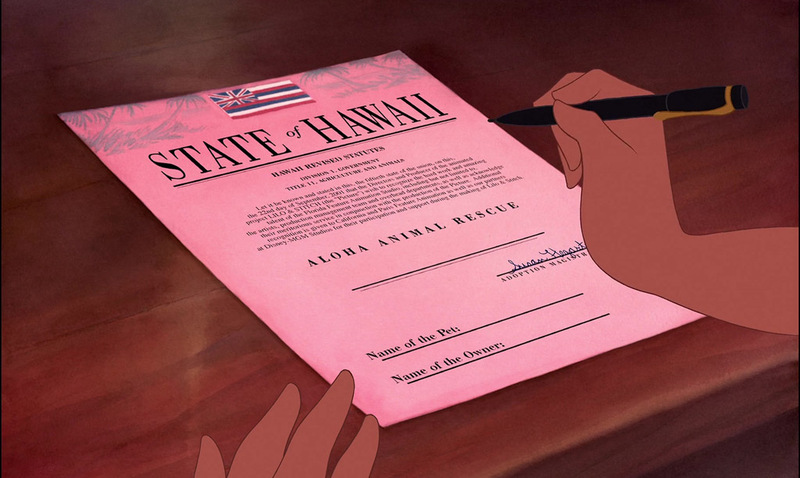 A contract shown during the movie is actually a commemoration to the movies staff. 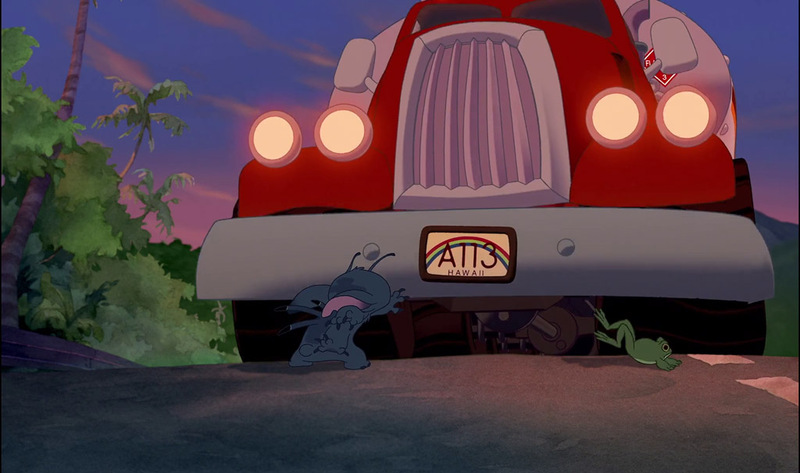 The famous A113 easter egg appears multiple times throughout the movie in the form of license plates. 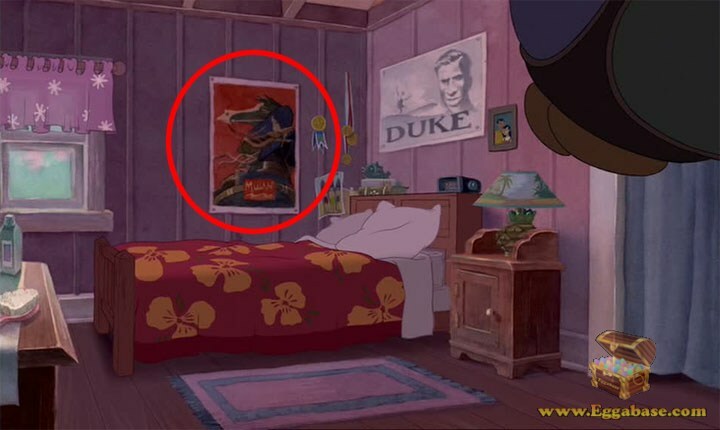 A Dumbo doll can be seen multiple times throughout the movie in Lilo’s room. 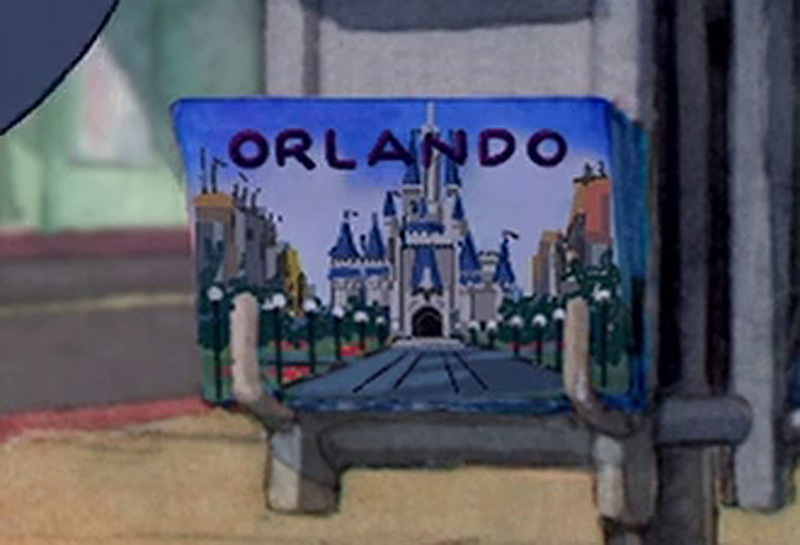 A postcard of the Cinderella Castle in Disney World appears during one scene in the movie. 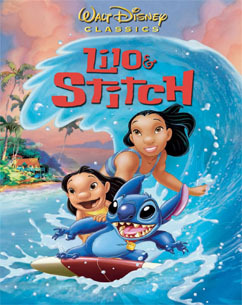 Throughout the first Lilo & Stitch movie there are multiple references to Disney’s Mulan which range from a poster on Nani’s wall to a restaurant named after the famed Disney heroine. See, THIS is why I loves me some internet. No matter how obscure your question, there will be someone else out there asking it, too — and someone else out there who’s answered it. Thank you so much for this brilliant resource, obviously a labor of much love.